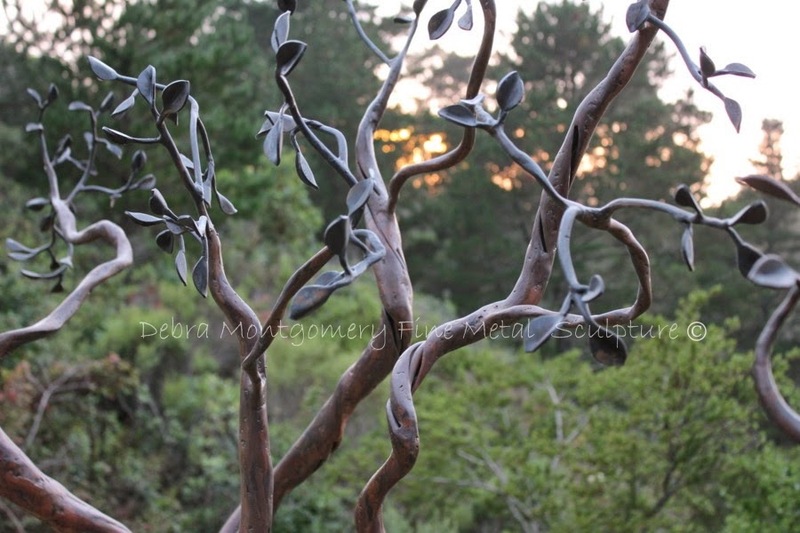 DEBRA MONTGOMERY - FINE METAL SCULPTURE: MOLASSES and WATER - Great Organic Rust Removal For Steel / Iron ! MOLASSES and WATER - Great Organic Rust Removal For Steel / Iron ! Molasses and Water for removal of rust on steel or iron. Who knew? I am always interested in non chemical alternatives to cleaning metals and such. Through one of the other metal artist / metalsmith forums, someone posted about this and I looked into it further. It looks like it has been around for quite some time, seems primarily with the auto restoration crowd but now I know of it so will share! The key factors apparently are the sulphur in the sulphated molasses which can be found at feed stores and the like. The sulphur turns acidic during the fermenting process as I understand it and that acid is what eats away the rust. Note that this concoction does not remove grease, oil or paint, so that would all have to be removed first. This mixture will attack aluminum so use steel, cast iron or plastic for your container to hold the mixture. Keeping the container in a warm area will help as well re: fermenting. Can be used as fertilizer when you are done! If you simply Google Molasses and Water Rust Removal you can find a great deal of information on this process including the various molasses and water mixture ratios and other helpful info. Anyone have any other non chemical alternatives related to metal working / metal cleaning? Feel free to leave comments here!